E, para quem se interessa pelo tema, acesse a página do Bundesnachrichtendienst (BND) clicando aqui. Newly-released files have uncovered evidence that the BND, West Germany’s international intelligence service, sheltered former SS officer Walter Rauff and made him an agent after the war, even though he was a key perpetrator of Nazi crimes. The hunt for the mass murderer led investigators literally to the end of the world; to Punta Arenas, Chile, one of the southernmost cities on the planet. But when Walter Rauff was arrested by the local police on Dec. 5, 1962, the former SS colonel had already been forewarned. His employer, the German Federal Intelligence Service (BND), had instructed him to destroy all documents and instruments of espionage that could have exposed him as an agent. The BND assumed a portion of Rauff’s legal fees, just as though he had been an old friend. In return, the former Nazi made it clear that he would “never expose” the relationship. “Never” is a big word, and there are journalists who claim that Rauff told them about his work as an agent in the 1950s. However, there has been no solid evidence to date — at least until the end of last week, when the BND released more than a dozen documents relating to Rauff. They are part of about 900 pages of documents that will soon be made available to the public at the German Federal Archives in the western city of Koblenz. The release is part of a new policy approach which BND President Ernst Uhrlau is pursuing in an effort to come to terms with the agency’s past. 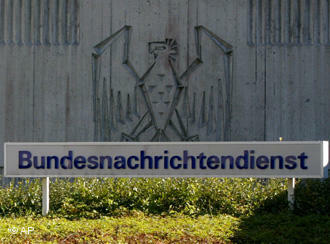 The liaison between the BND and Rauff is a particularly dark chapter in that history. In 1961, a warrant was issued for the arrest of the former officer, born into a solidly middle-class family in Köthen near the eastern German city of Dessau, on charges of the murder of more than 90,000 people. But this didn’t stop the BND from training Rauff at its headquarters in Pullach, near Munich, in early 1962 and, a few months later, preparing him for the arrest in Chile. Rauff had worked in the Reich Security Head Office, the nerve center of SS terror, where he headed the group that developed the so-called gas van in 1941. In the end, he was in charge of more than 20 of the mobile gas chambers, which were trucks outfitted with a box-like body that was about six meters (20 feet) long and 1.7 meters tall. A hose as thick as an arm fed the engine exhaust fumes through a hidden opening in the floor into the interior, so that they would suffocate the victims. The device was first used to gas prisoners at the Sachsenhausen concentration camp in the fall of 1941. In the ensuing months, the SS murdered more inmates with the mobile death chambers in the Latvian city of Riga, at the Chelmno death camp in Poland and the Poltava camp in Ukraine. According to historian Mathias Beer, Rauff coordinated the effort. Later, in Italy, he committed further crimes as the commander of a unit fighting partisans. The BND was familiar with Rauff’s history when it recruited him in 1958. According to a later memorandum, the agency knew with whom it was dealing “from the beginning,” because “Rauff made no secret of his past.” However, the BND was allegedly unaware of the former SS officer’s involvement in murder. Rauff’s entry into BND service occurred at precisely the time that Pullach was expanding its network of agents worldwide, and the amiable family man was seen as a well-travelled intelligence expert. After the end of the war, he escaped from an Allied prison camp in Italy and went to Syria. According to CIA records, he attempted to build a Syrian intelligence service based on the Gestapo model. He later fled to Ecuador and eventually settled in Chile. When the BND approached him in South America, Rauff agreed to cooperate immediately. His willingness to work with the agency probably had something to do with the fact that the BND agent who recruited him was an old acquaintance from the Reich Security Head Office (RSHA). The man was Rudolf Oebsger-Röder, who held a doctorate in journalism and was once a fanatical SS official. After the war, he spent a few years working as a journalist for the Deutsche Soldaten Zeitung and even for SPIEGEL. He also worked as a so-called tipper, helping the BND headquarters in Pullach identify suitable agents. Oebsger-Röder was put in charge of a BND field office in 1958. Rauff was probably one of the first agents he recruited in his new position. He was given the alias Enrico Gomez and, from then on, traveled throughout the region for the agency. He was paid a princely fee of more than 70,000 deutschmarks while serving as an agent. By this point, West German investigators were already tracking Rauff. An extradition request led to his arrest at the end of the year. According to the BND records that are now open to public view, Rauff seriously believed that he was innocent, which could explain why he did not flee, even though he knew that he was on the verge of being arrested. Or perhaps he had merely done his homework, because in Chile murder comes under the statute of limitations after 15 years. In other words, Rauff could not be extradited for his Nazi crimes, and so he left the prison in the capital Santiago a free man after a few months. If the information in the now-released BND records is complete, this marked the end of cooperation between the intelligence service and Rauff, which the BND doesn’t try to justify today. Rauff’s recruitment was “absolutely unconscionable, both politically and morally,” concludes Bodo Hechelhammer, director of the History Research Group and Task Force at the BND. Hechelhammer says that it was regrettable that the agency employed Nazi criminals like Rauff. Esse post foi publicado em Assuntos Internacionais, História, Inteligência e marcado BND, inteligência alemã, nazismo, nazistas por Joanisval. Guardar link permanente.